Forget about running to the store to get a fancy pack of egg dye or stencils. I am going to show you how to do it yourself with these simple and fun techniques. Do you have lying around your house: crayons, tissue paper, tape, rubber bands, stickers…? These everyday items can be used to create a unique design or a stenciled look on your eggs. This article was featured in our online magazine if you would like to view it in flip-page format go here. Wax– grab a crayon and write or color on the egg and dip the egg in dye. Tissue paper– Lay a piece of saran wrap or paper towel flat and lay tissue paper on top of it. Dampen the tissue paper and then lay egg inside it and wrap it up. You can use tape to secure your wrap. Wait 10min and peek to see if the colors have transferred over if not wrap a bit longer. Rubber bands/stickers– just wrap or stick them on the egg how ever you want and then dye the egg with them on their. 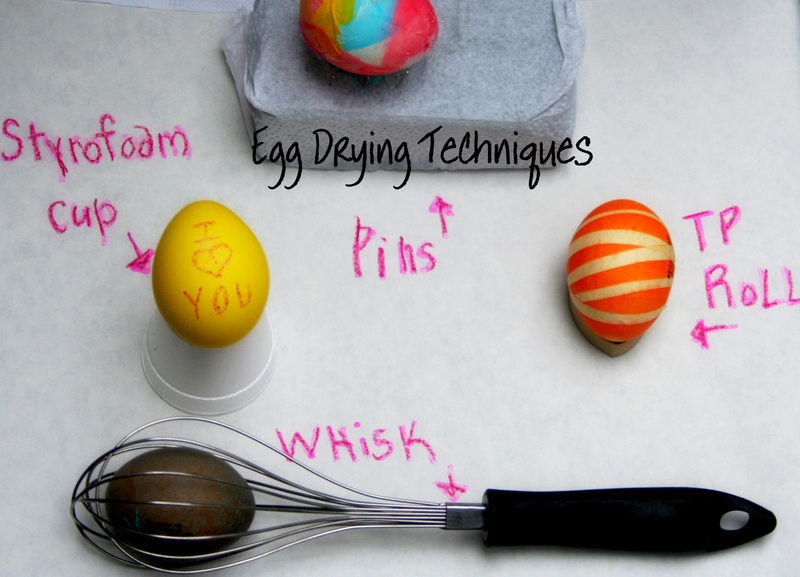 Using a whisk is a great non-messy way to dip and color eggs. Insert egg into whisk and dip in dye and then take out whisk and leave egg in there for drying. Removing dates off eggs- dampen a cloth with vinegar or nail polish remover/alcohol and it should remove it. If you use vinegar it will take some extra rubbing. 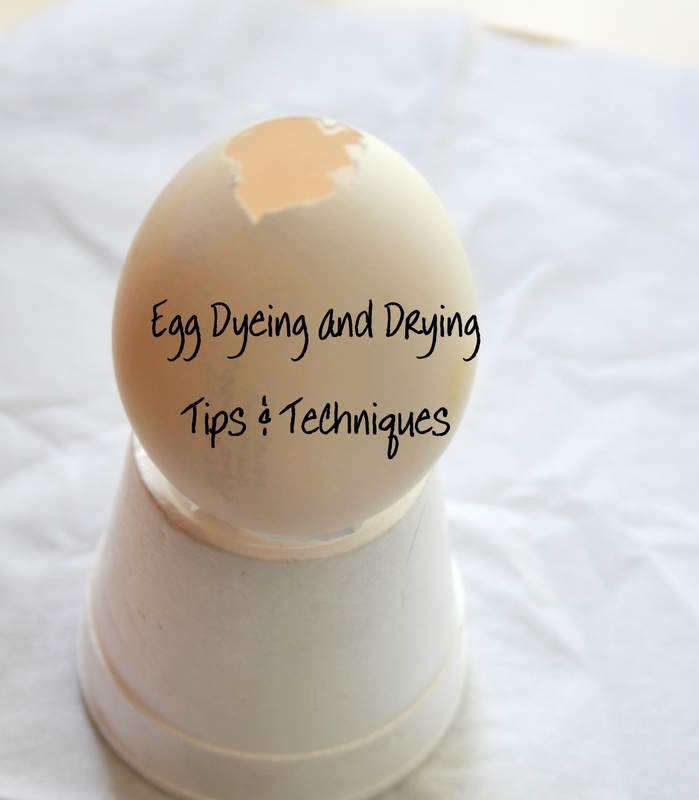 Leave egg in for 5 min for a light color and in for 10min or longer for a bold color. Styrofoam cup– cut the bottom out and insert egg. Pins or toothpicks– Place straight pins or toothpicks in styrofoam. Toilet paper roll– Cut the roll into pieces and lay egg on top. Whisk– my favorite way to dry them, just insert egg in whisk for the dyeing process and take it out and lay for drying. Pingback: Incredible Egg Decorating Ideas!